The United States has decided to deploy 800 new battle tanks in Europe. Some of them will probably be stationed in the Bavarian town of Grafenwoehr. This was reported in the Friday edition of the “Münchner Merkur” which cites a letter from German Minister of Defence Ursula von der Leyen (CDU) to the Vice-President of the Bundestag Johannes Singhammer (CSU). “US President Barack Obama has ordered the deployment of 800 tracked and wheeled vehicles. Some of which are to be stationed in the Bavarian town of Grafenwoehr close to the former inner German border.” The “Münchner Merkur” quotes from German Minister of Defence Ursula von der Leyen`s (CDU) written reply to a query from Vice President of the Bundestag Johannes Singhammer (CSU). The CSU politician Singhammer called for an additional ten billion Euros to be put into upgrading the Bundeswehr over the next few years. “We need to strengthen our ability to defend the country with conventional weapons,” he told the “Münchner Merkur”. At the same time all channels of communication should be used in order to remain in dialogue with the Russian government. NEO Presse already reported last November that such an adjustment of military resources might be pending. At that time, the US Army had announced that it wanted to move “at least 100 tanks to Europe” by the end of the following year. “The US Army intents to add at least 100 fighting vehicles to Europe by the end of next year” the commander of the European contingent of US Armed Forces informed reporters of various newspapers a few months ago. 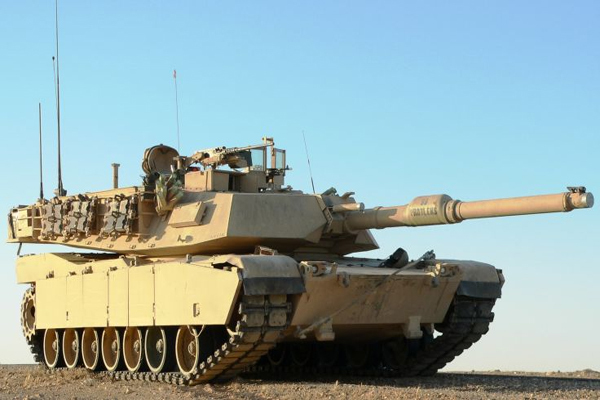 The United States is planning to increase their contingent of M1 Abrams battle tanks and M2A3 armoured personnel carriers to 150 during the NATO maneuvers planned for 2015 in Poland and the Baltic States. According to Lieutenant General Ben Hodges, the troops will indeed return to the US after the exercises, but the tanks themselves are to remain in Europe, primarily in US bases in Germany. “Troops will arrive, participate in exercises and return. The technology will stay behind” Hodges said in an interview with” France-Presse”. After the fall of the Iron Curtain, the US had decreased its military presence in Europe dramatically. This development will now be revised in the light of the supposed threat in the East. According to the stipulations of the “2 plus 4 Treaty” in which the former occupying powers directed the reunification of Germany, NATO is prohibited from relocating heavy military equipment to the new German Eastern border. As a result tanks may only be stationed along the old inner-German border.